Wonderful words of encouragement come with our PRESS ON greeting card. 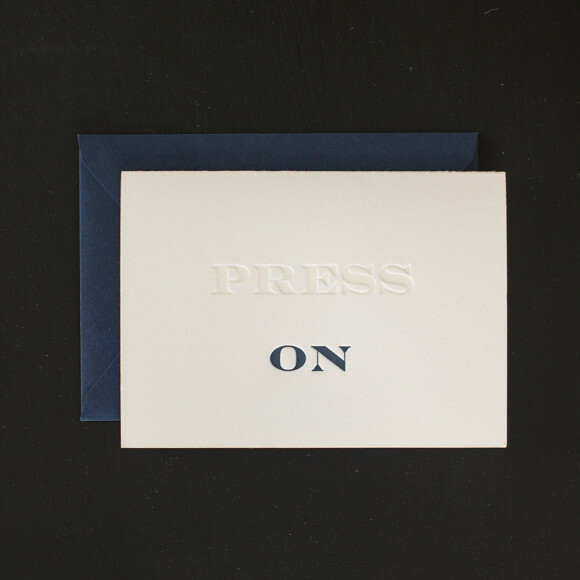 Letterpress printed in night blue ink and blind embossed in transparent ink, the words “PRESS ON” make a lasting impression! 100% cotton, pearl white card stock. 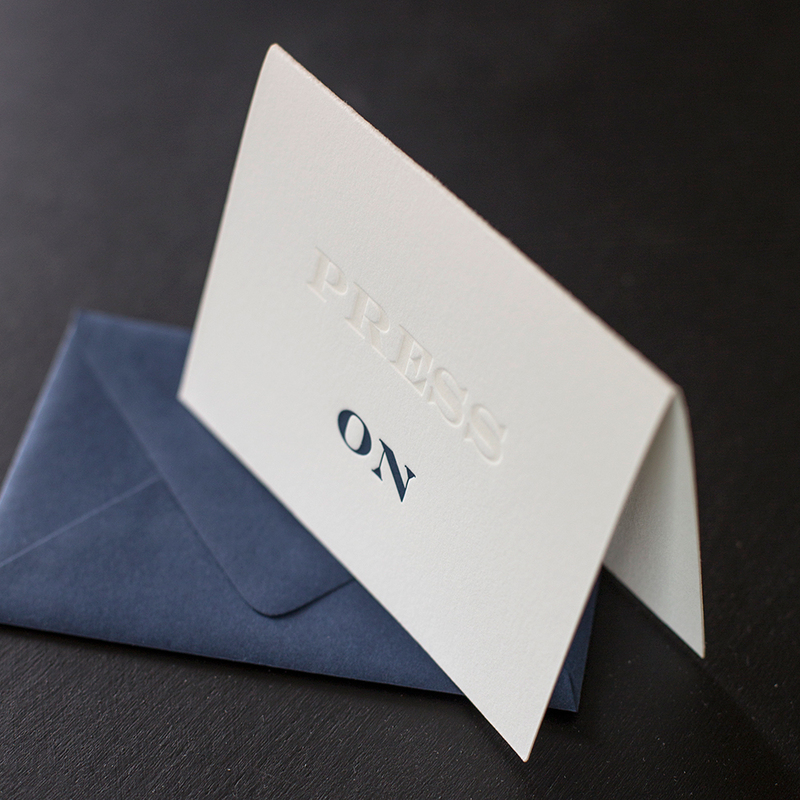 Matching night blue envelope. Measures 3.5″ x 4.875″ Blank Inside.